Where to Find Water in an Emergency | What is Drinkable? 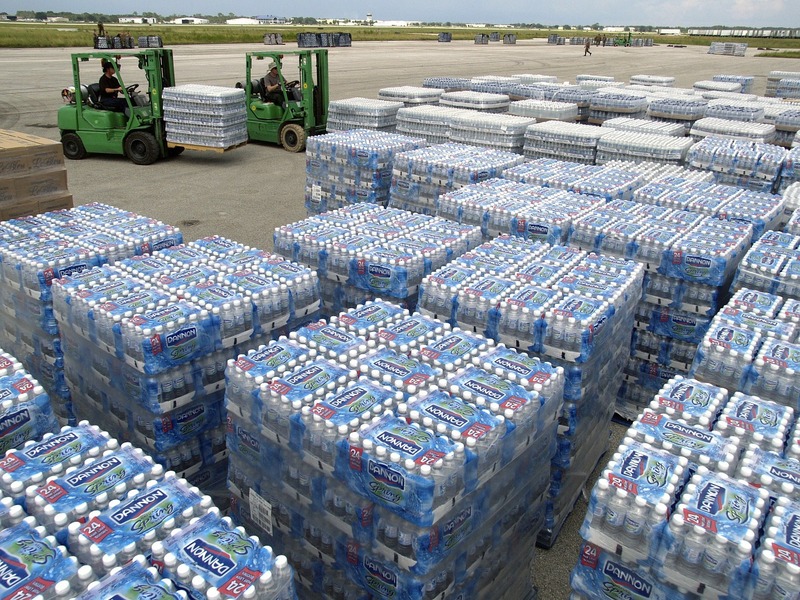 Have you ever noticed that when a emergency strikes, the first thing to fly off the shelves in stores are bottled water? From personal experience, I do the same thing. I usually buy a big pack of bottled water every couple of months so we always have something on hand in case such an emergency happens suddenly. During the time in between, we use a bottle here and there if we go camping, on the way to work, or after yard work. 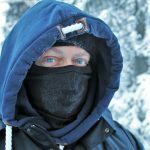 What happens if you are caught without running water and bottled water to drink? Water has more uses than just hydration. We wash clothes, cook food, brush teeth and clean dishes. We also need water for our pets! Let’s have a real discussion on a a real potential scenario, how well off are you if you cannot get water or other disposable goods for your family in an emergency situation? Obviously, right? Having a couple weeks worth of water on hand in your home is the ideal situation. It is easy to do, fairly inexpensive and very doable. Get two-weeks of water for your family. Each person uses about a gallon of water per day, so do the math. As per ready.gov, you should store one gallon, per person, per day. You should also have at least 3 days of clean water on hand. If you are active, then you should expect to keep around 3 gallons of water per person, per day. 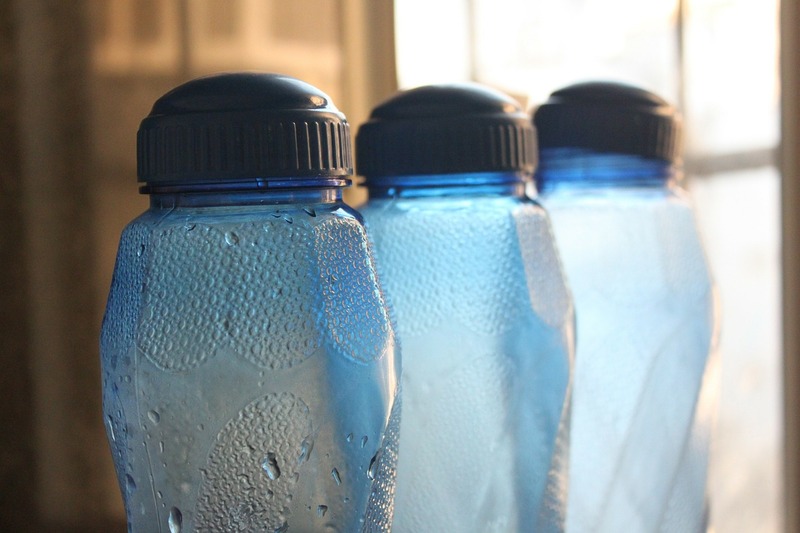 Storing water doesn’t have to be difficult or expensive. You probably already have these storage items in your home already! Almost any food grade plastic can make a great container, but stay away from containers that contain high sugar items like juice or milk containers. These containers are very difficult to clean properly to prevent bacterial growth for long-term water storage. 2-Liter Soda Bottles: This is my favorite method because it is easy and portable. Just be sure to clean it out before you fill them up. You can use 1 teaspoon of bleach per gallon of water to thoroughly clean and disinfect the bottles before you fill them with clean water. Water does not have an expiration date, but any bacterial growth can flourish if it is not a clean environment. Store the water in dark and cool places to stretch out the storage life of the water. Pots and Pans: In the event of an emergency, clean your larger pots and pans thoroughly and you can use them for temporary clean water storage. Once filled, keep a lid on it to keep out bacteria and bugs. Bathtubs: Clean your bathtub FIRST. You can use this water to wash clothes, scoop it out in buckets for cleaning yourself and others. This water is drinkable, however since you cannot cover it, it is open to the elements and should be used for non-drinkable water. Inflatable Pools: Kids got an inflatable pool? Blow that bad boy up in a covered area like a garage and fill it with your water hose. This is another way to store non drinkable water. Products like LifeStraw can make non-drinkable water drinkable. If you are without access to clean water or your storage has run dry, then you can collect rainwater or use the remaining water in our tub or pool and make it safe to drink with these types of devices. Lets run through another scenario, the water department warns the residents that the water n the system is no longer drinkable, or there is no way to deliver water to your home for a few days and the bottled water at the stores are all sold out. What then? Obviously storing water before the emergency is ideal, but that is not always an option if you haven’t prepared before the emergency. If you get told by your utility company that sewage lines have busted or the water is no longer drinkable, IMMEDIATELY SHUT OFF THE MAIN WATER VALVE to prevent contaminating the water already in your home, or further contamination of water that is already stored in your home. Your Hot Water Heater: The average water heater holds about 50 gallons of water to heat up for your dishwasher, shower and washing machine. Tanks come in different sizes and store different amounts of water. If your home runs out of hot water quickly, you have a smaller capacity water heater. There is even a tap you can purchase to drain your water heater easily. Your Water Pipes: Before you drain your pipes for water, be sure that the main water valve has been shut off completely. Find the faucet in the home that is the highest in the house, then place a container underneath the lowest faucet in the home. Turn on the highest faucet to introduce air into the pipes and turn on the lowest faucet to drain the pipes. Ice Cubes: Check your ice cube tray and melt them for drinkable water. If the power is out, it may already be melting. This ice was probably made prior to the contamination. Back of the Toilet: NOT THE BOWL. Siphon the water from the top and leave any sediment at the bottom alone. As long as you do not add chemical tablets to the back of the toilet, it should be drinkable. These are quick places to find water, but there are other sources of water in your home that you should NOT drink from. These sources may be used for cleaning, but definitely not consumption. Toilet Bowls: Ew. Don’t. The source of the water is clean, but it is contaminated with human waste in the bowl and potential mold from the top of the bowl that we never see or clean. You know what I mean. Swimming Pools: These water sources are also contaminated with human sweat, urine, etc. Not to mention the chemicals used to keep the pool clean. Waterbeds and Aquariums: These sources are not sterile and should not be considered as a drinkable water source. If you are unsure if the water you find is drinkable, there are methods of sterilizing it to make it drinkable. Any CHEMICALLY altered water you will want to steer clear from, such as window cleaners and other fluids like this. For this method, our objective is to kill any microorganisms that may exist in the water that can potentially make us sick, or even kill us. Heat Sterilization: Using a heat source to bring water to a rolling boil for at least one minute is a method to kill disease causing microorganisms that may be present in the water. Pouring the water to another clean container afterwards will help if there is any sediment at the bottom. This water may not have the best taste, but it is safe to drink. Chemical Sterilization: If you are unable to boil water in your situation, an alternate way to sterilize your water is by using chemicals in safe doses that will kill the microorganisms and not you. Plain bleach that is in your home can sterilize water for consumption. You can only use one teaspoon per gallon of water to be safe. Be sure that hypochlorite is the only active ingredient and the bleach is scent-free. Once added, stir the water thoroughly and let it stand for at least 30 minutes. After that, the water will smell and taste like chlorine. If it does not, add another dose of bleach, stir and let sit for another 30 minutes. If it still does not have a taste and smell of chlorine, pour it out and do not drink it. Distillation: Distilling water involves heating up the water and collecting the water vapor that forms as it heats up. This method will remove microbes, germs and other metals from the water. The collected water from the vapor safe to drink. Inexpensive items to make water drinkable are below. These items run the water through a filtration device that cleans the water and makes it drinkable. The water may not have the best taste, but it is a good idea to have one of these on hand for each member of your family. Water is crucial for survival. You will only last a few minutes without air, a few days without water and about 30 days without food. If clean air is not available, this post is not much help. With water, hopefully this post helps you, and your family, survive until everything returns to normal.